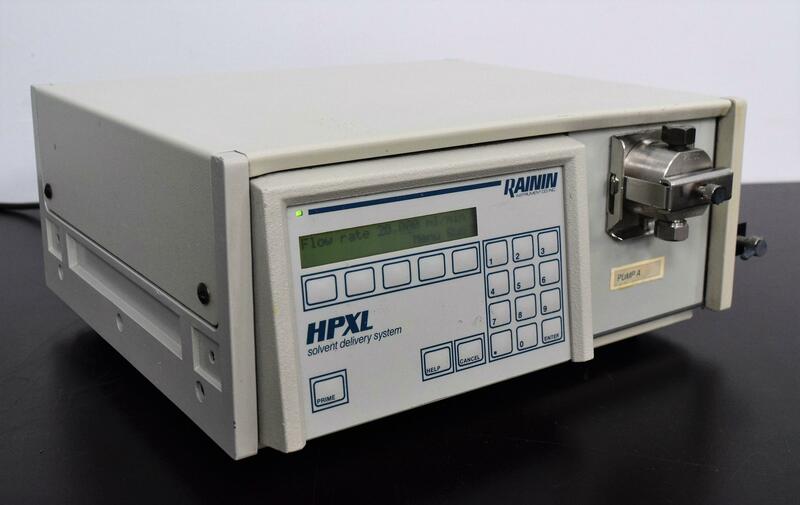 Rainin HPXL Delivery System HPLC Pump with 25 SC Pump Head . New Life Scientific, Inc.
Do I have to prime it and how well does it pump? With this Rainin HPXL pump, it primes easily and pumps well. Easy-to-read digital display, main menu, and soft key controls. In addition to checking the priming and pumping, our in-house technician confirmed that at 2 mL/min and 11 mL/ minute, the pump produces an accurate flow rate. This pump is in great cosmetic condition with minor cosmetic wear. This pump should be coupled with a pressure module before being used in an HPLC system. Warranty on all of our working instruments to protect you against any failure or defects.